The Kathryn Top + Dress can be made casual or slightly more formal depending on the fabric used. When made with a cotton jersey or interlock fabric, the top can be paired with your favorite shorts or jeans for a perfect summer outfit. When made with a slinky knit, Kathryn can be your go-to dress for a date night out. The three sets of pleats along the round neckline provides interest to an otherwise simple garment. An empire-waist seam visually elongates your legs, yet the natural waist is shaped so your curves are not buried. There’s no sleeve to sew, but your upper arm is covered by the extended shoulder. 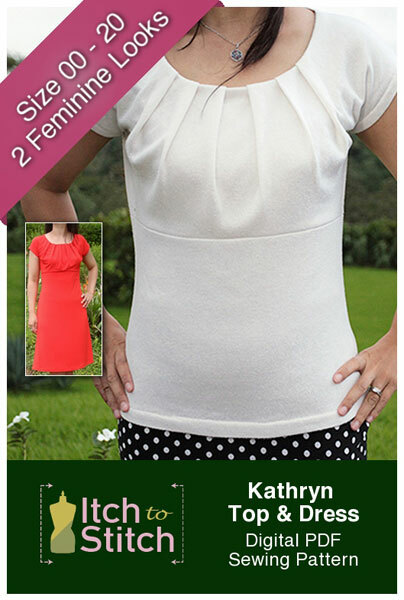 Kathryn Top + Dress can be made casual or slightly more formal depending on the fabric used. When made with a cotton jersey or interlock fabric, the top can be paired with your favorite shorts or jeans for a perfect summer outfit. When made with a slinky knit, Kathryn can be your go-to dress for a date night out. The three sets of pleats along the round neckline provides interest to an otherwise simple garment. An empire-waist seam visually elongates your legs, yet the natural waist is shaped so your curves are not buried. There’s no sleeve to sew, but your upper arm is covered by the extended shoulder. Primary fabric: Light to medium light-weight knit fabric with 60% to 100% two-way or four-way stretch is ideal. Jersey, interlock and French terry are great choices. If you use fabric with less stretch, you may choose a larger size. 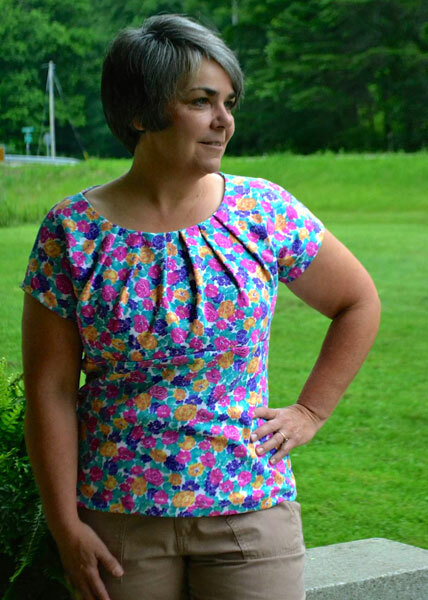 Conversely, if you use fabric with more stretch, you may choose a smaller size. The same fabric is used to line the top front. However, if your knit fabric is on the heavier side, you may choose to line the top front with a lighter-weight knit fabric. Jersey and tricot are great choices. 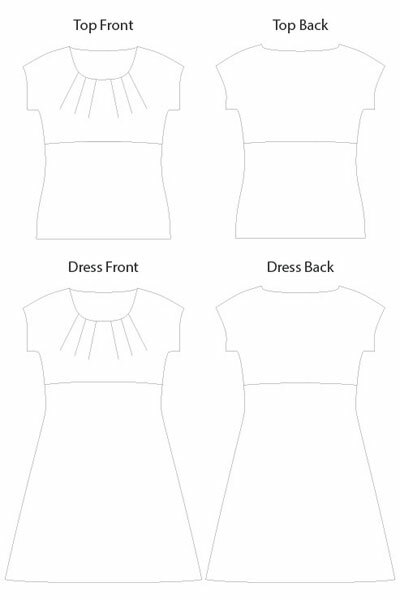 Facing Fabric: A front neckline facing is used to support the pleats. This facing uses a stable woven fabric. Quilting cotton, light-weight twill, muslin and light-weight broad cloth are great choices. 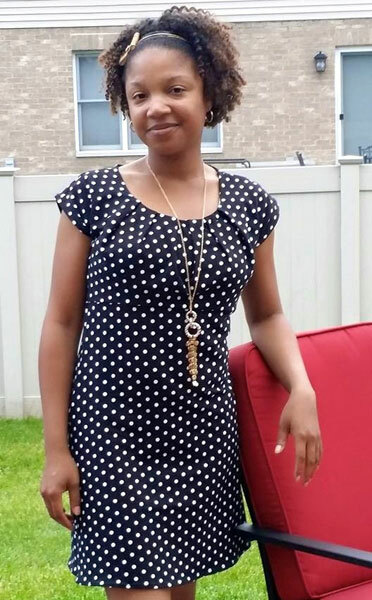 Do not use a loose weave woven or a fabric that tends to expand such as linen. Do not use knit fabric. Interfacing: Use light-weight woven or weft insertion fusible interfacing. Compare your bust circumference (fullest part) to the “Body Measurements” table. 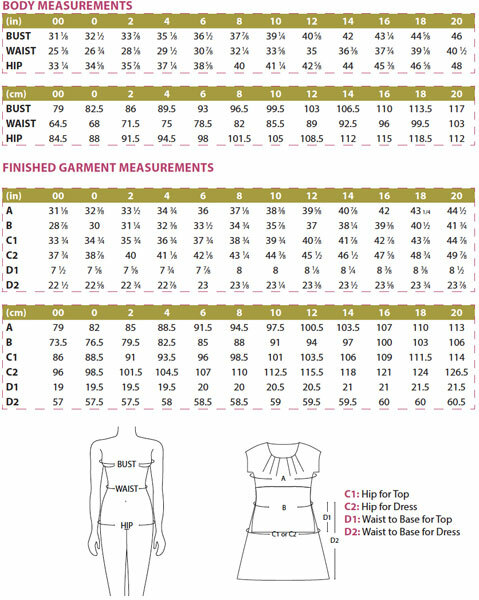 Choose the size that fits your bust best. If you are in between sizes, choose the smaller size if you like your garment more fitted; otherwise, choose the bigger size. Compare your fullest hip measurements to the “Body Measurements” table. Choose the size that fits your hip best. If you are in between sizes, choose the smaller size if you like your garment more fitted; otherwise, choose the bigger size. 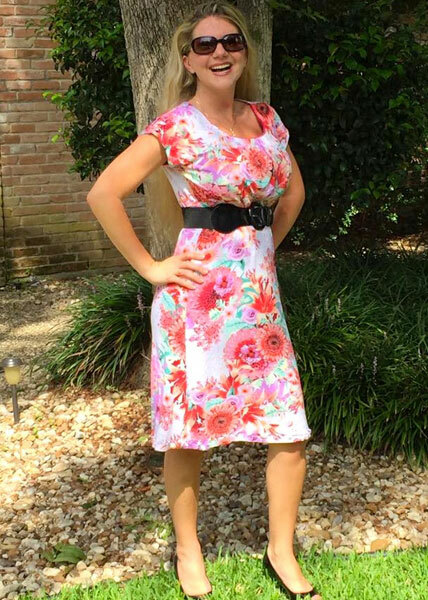 It’s OK to use different sizes for the bust and hip. All you have to do is print the sizes that you need (see “Printing Instructions” and “Blend Sizes” in the instructions), and blend the lines from one size to the next from the bust to the waist to the hip. 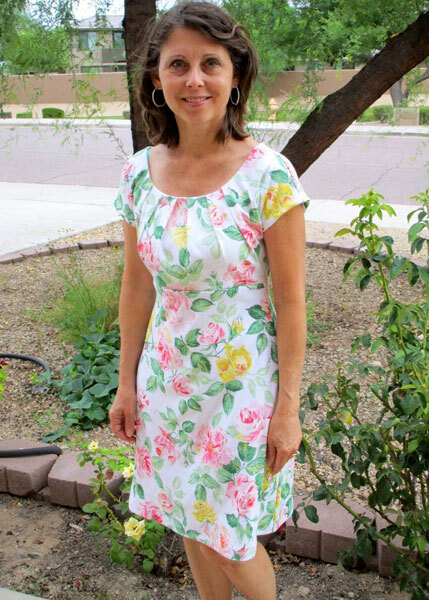 I highly recommended that you check your fit by making a test garment with inexpensive fabrics that have similar thickness and stretchiness as your final garment fabrics.